Actually, that's a bit misleading. Because they are all the SAME single modular stair package. I'm soooo excited to share this upload with you guys, because, finally, I've been able to create an object that does everything I want it to. I've been frustrated for the last year or so that I can't mix and match rail types on modular stairs. 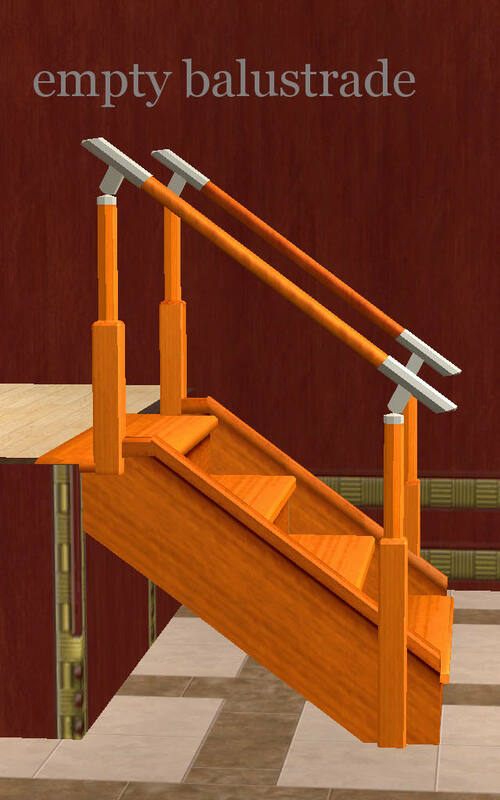 Mainly, because I wanted to make a set of modular stairs for my Sims that had balusters every 2 or 3 steps instead of every. single. step. 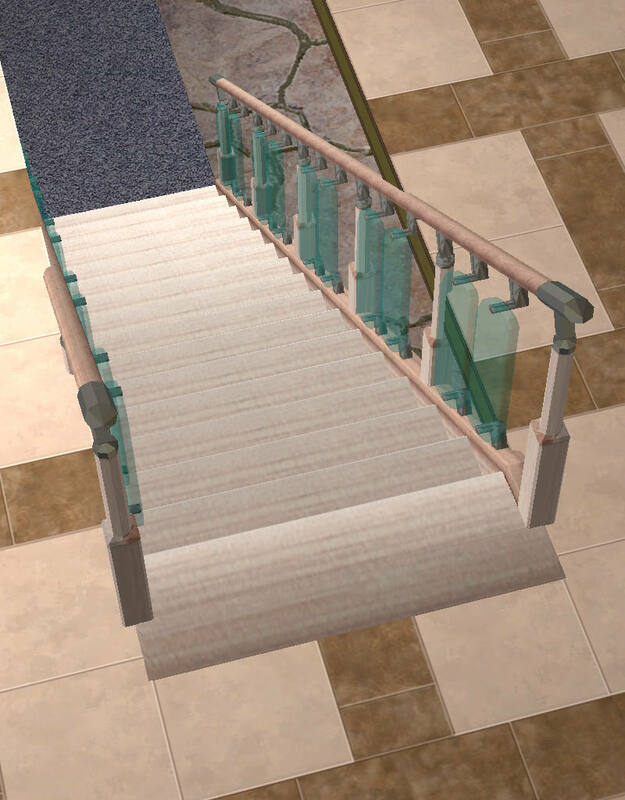 Back when I was working on the Glass Rail Stairs, I recalled marvine's Designable modular stone stairs, and had a closer look at how she pulled off the trick of changing the step shapes. 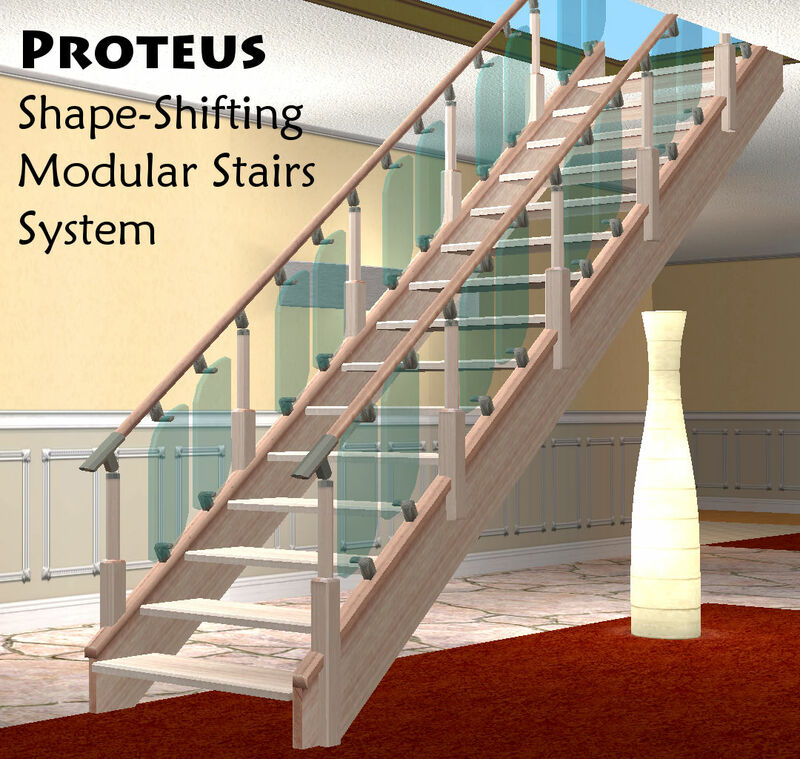 Now I had not only the idea of shape-shifting modular stairs, but some clues of how to pull it off, too. So I've been working on these and researching different aspects of object creation since September in order to make this modular stair mod happen. I'm quite proud of the result, and I hope you like them as much as I do. 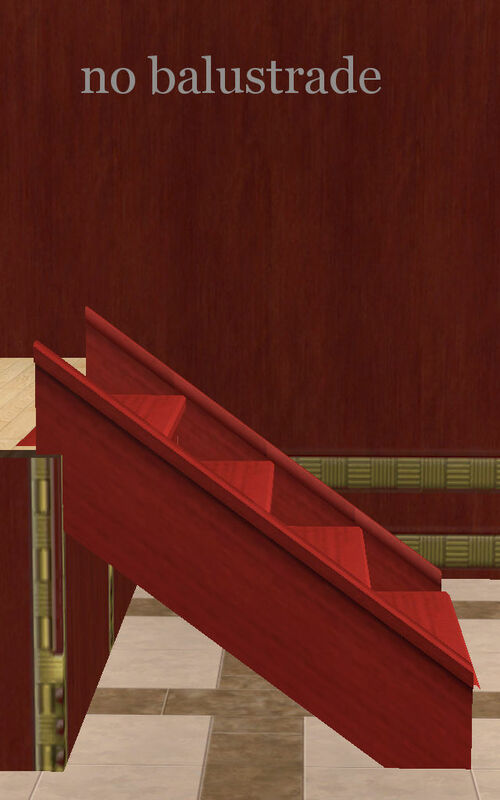 These are modular stairs, and since they are custom, they need to be put into the game's script files to be recognized and enabled to work. With the stair file is included a text file designed to work with Numenor's Scriptorium to do just that. If you don't have the Scriptorium installed, I highly, highly recommend that you grab it and get it installed right away. If you still insist on doing it the old-fashioned way, there are instructions included in the .rar file for manual installation. With the Scriptorium , all you have to do is click the Modular Stairs shortcut inside your Downloads folder and copy the text file into the folder that opens. 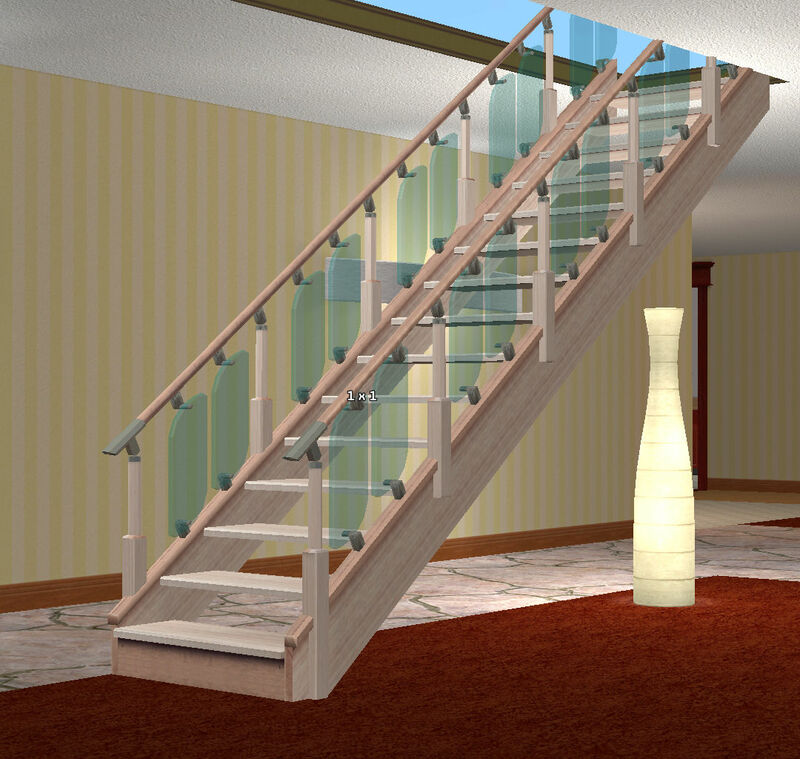 The steps and balusters are recolorable. 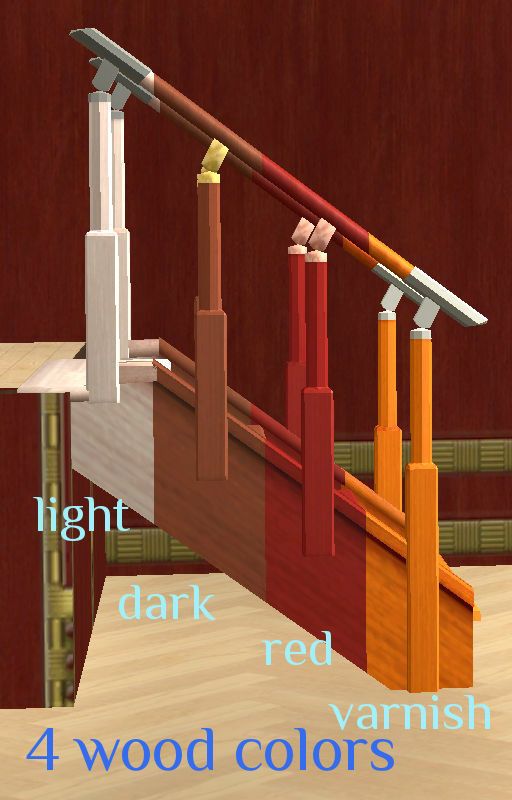 There are four wood colors, which cover the steps, the handrails, & the baluster posts. 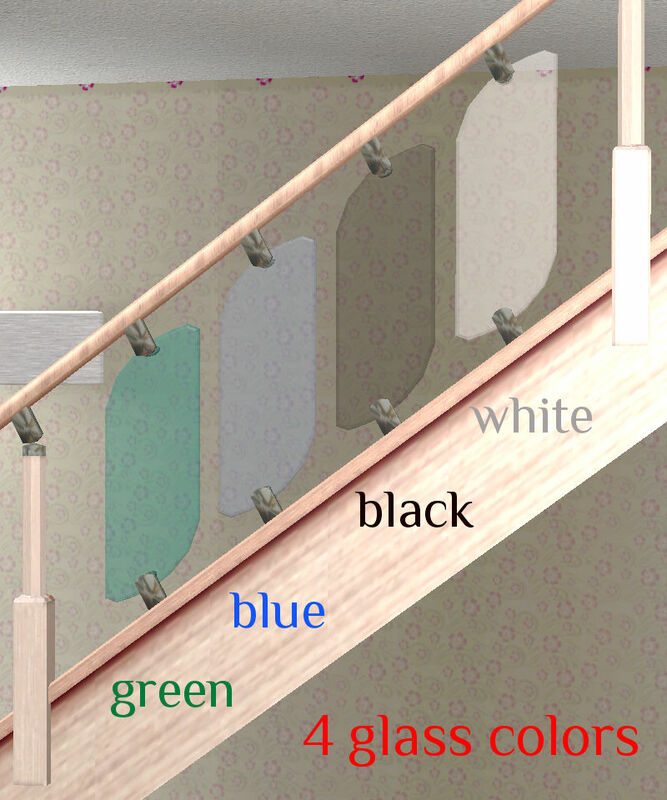 There are four glass colors, and four hardware colors. 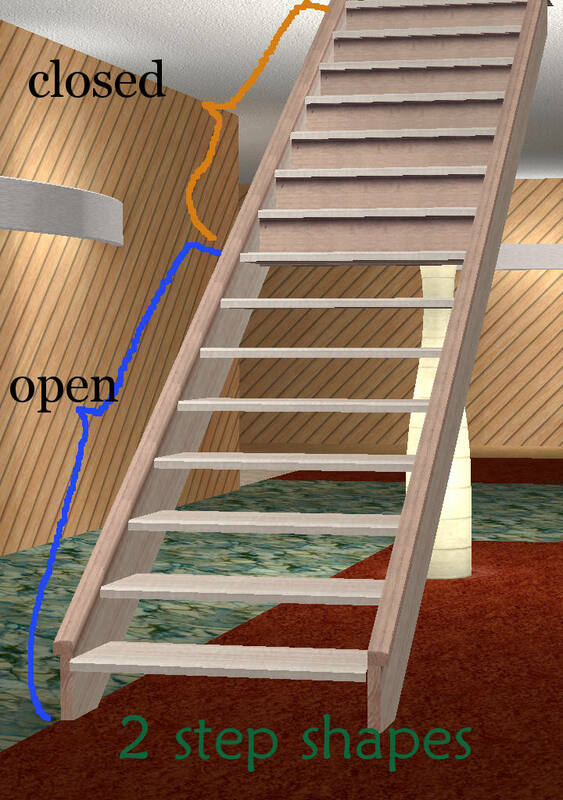 The step wood colors are independent of these, so you can have lightwood steps with redwood rails, or whatever combo you want, but the rail (technically, the baluster color) color will determine the color of hardware. 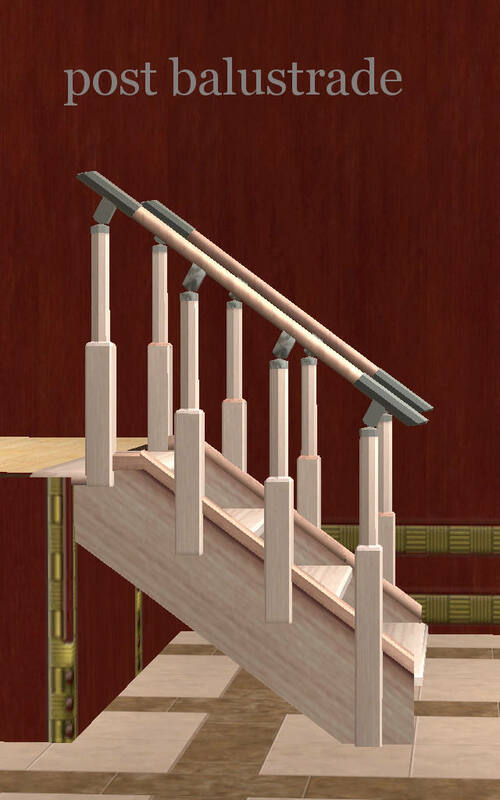 Steps and balusters have changeable shapes. And, through the magic of slaved Subsets, the rails and hardware change to match the baluster shape you chose. **There is a a small limitation on baluster shapes: The top and bottom steps can only have post baluster shape. The other options will be available, but I only included a mesh on those steps to support the post. 128 people have said thanks to d4RE for this download. 4. 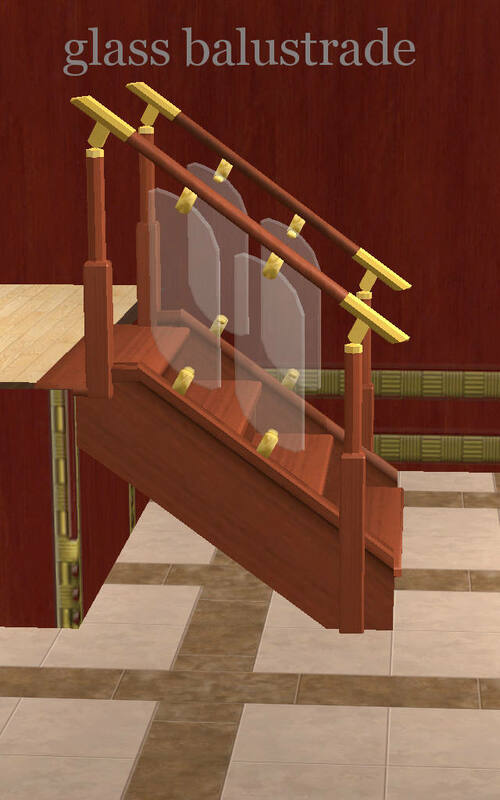 Install Scriptorium Files: Put the .txt file(s) in your in the proper Scriptorium folder (Scriptorium_ModularStairs, Scriptorium_Fireplaces, Scriptorium_CustomLights, or Scriptorium_Walls). You will find these folders inside your Downloads folder once the Scriptorium is installed.